Former Hereford United coach Richard O'Kelly has been put on gardening leave along with Sean O'Driscoll following a poor run of results by Doncaster. The pair has been in charge for five years. Wrexham manager Dean Saunders will be in charge tomorrow for Doncaster's game against Crystal Palace. 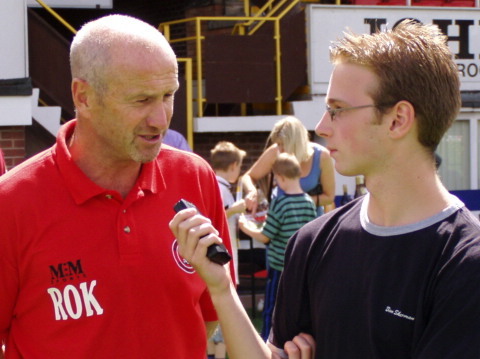 O'Kelly, pictured talking to Terry Goodwin at Edgar Street, had two excellent years as coach/physio with Hereford United from 2002 to 2004.